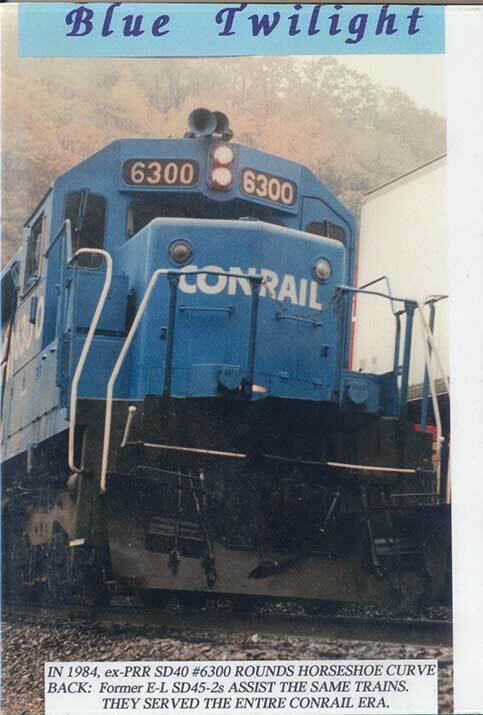 Aided by public assistance, deregulation, and labor reform, CONRAIL TURNED THE TIDE. BUT DIVIDING THE SYSTEM BETWEEN CSX AND N-S PROMISES TO RESTORE COMPETITION AND LURE TRAFFIC FROM TRUCKS. WATCH CONRAIL PROGRESS FROM 1976 TO THE FINAL DAY, THEN THE CONFUSED NEW ORDER AFTER THE SPLIT ON JUNE 1, 1999. HORSESHOE CURVE, CONWAY YARD, GREENWICH AND BEREA ARE AMONG HOT SPOTS VISITED AS YOU VIEW THE LAST GREAT RAIL MERGER OF THE MILLENNIUM! !